I’m doing some tests with the SIM800L module, set as server, using Ben’s SimCom library. The problem is that after 1 hour, the GPRS connection closes by itself and the server doesn’t respond anymore to the incoming messages. 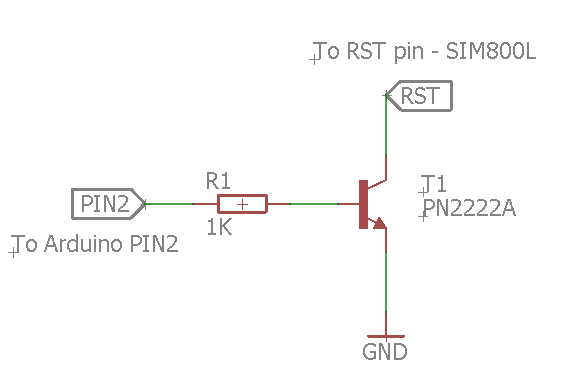 Is it enough checking whether the SIM800 is connected or not with AT+CGACT? and then re-establish the connection if not? All the code is running on an Arduino clone: Moteino. I’m checking the connection every 61 minutes. Any other solution for keeping the connection persistent? Following the code inside the Hologram-SIMCOM library, I noticed that the SIM module is already reset within the Hologram.begin(…) method. Reset was already connected to pin 10. I’m trying now by powering Arduino with a separate battery.